Phnom Penh, once known as the ‘Pearl of Asia’, is the capital and largest city of Cambodia. Located at the confluence of three major rivers – the Mekong, the Tonle Sap River, and the Bassac River -, the city serves as Cambodia’s major economic, business, and trading destination. Though the city is located 120 miles away from the sea, its proximity to the Mekong river valley makes it an ideal port – connecting the landlocked region to the South China Sea via Vietnam by the Hau Giang channel of the Mekong Delta. Phnom Penh is home to 1.5 million people, and serves as a major global and domestic tourist destination in Cambodia. Khmer, the most popular and official language of the country is the main language; English and French are also widely spoken. Since the end of Cambodia’s civil war in 1975, the city has undergone rapid development in terms of infrastructure. The city has four main national highways and three rail lines that connect it to the main seaport at Sihanoukville (also known as Kâmpóng Saôm). The highways radiates out to other parts of Cambodia and its neighboring countries – Thailand, Vietnam, and Laos. Phnom Penh International Airport is well connected with popular cities in the region, such as Bangkok and Ho Chi Minh City and regional hubs such as Singapore and Hong Kong. Domestically, too, it is well connected – Phnom Penh has direct and frequent flights to Siem Reap, the main tourist gateway to the ancient Khmer ruins of Angkor Wat, a UNESCO World Heritage site. Cambodia’s economy has grown remarkably in the past few years, with an annual growth rate averaging more than 7 percent between 2012 and 2016. This growth has been largely driven by its ability to provide low-cost, labor-intensive manufacturing – especially in the garment, footwear, and food-products sectors in its well established special economic zones (SEZs). The country houses around 30 SEZs that provide preferential incentives to investors and offer government import-export administrative support to facilitate trade. The main SEZ in Phnom Penh as well as the most developed SEZ in Cambodia is the Phnom Penh SEZ (PPSEZ). The PPSEZ currently has an estimated 80 tenants and 15,000 employees. Notable corporations already present in PPSEZ include Coca-Cola, Toyota, and Yamaha. 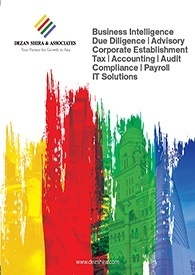 Some of the key incentives include corporate income tax exemption of up to nine years, exemption from import duty on materials and equipment used in production, investment protection agreements with the world’s leading economies, freedom from price control, as well as free remittance of foreign currency. 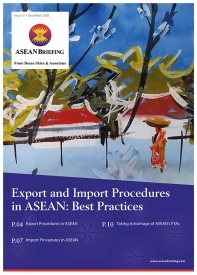 Besides, export-oriented manufacturers can access preferential treatment under ASEAN’s Free Trade Agreements (FTAs) to explore Asian markets and increase competitiveness. Since foreign nationals cannot own land in Cambodia, SEZs offer them an opportunity to develop, or sub-lease plots with up to 50 years of renewable leases. This gives businesses more flexibility in organizing their factory activities over a long period of time. Phnom Penh’s is the country’s economic center, accounting for a large share of the Cambodian economy. The city, along with its neighboring provinces, serve as the most industrially developed area in the country – in terms of labor force and infrastructure. Phnom Penh specializes in light labor-intensive industries such as garments and footwear, food and beverage, and consumer products. The Phnom Penh Special Economic Zone (PPSEZ), established in 2006, holds the key to the city’s economic growth and development. The SEZ is strategically located between Bangkok and Ho Chi Minh City at the center of the East-West Economic Corridor that links Cambodia, Vietnam, Thailand, and Myanmar. The economic zone serves as a manufacturing hub for over 77 export-oriented companies that produce a diverse range of products. These include companies manufacturing mechanical and electrical products, garments and shoes, pharmaceutical products, consumer products, as well as pharmaceutical, packaging, and logistics companies. Over the years, with the opening up of its economy and a stable political environment, several other industries have mushroomed in Phnom Penh. A number of shopping centers, hotels, and commercial centers have opened up, making real estate a lucrative business in the city. Tourism is also a major contributor in the capital; Phnom Penh is a major tourist destination in the country, along with Siem Reap and Sihanoukville. Tourism accounts for approximately 18 percent of Cambodia’s economy. Among the most popular tourist areas in Phnom Penh are Tuol Sleng Museum, Wat Ounalom, Wat Phnom, and Sisowath Quay, alongside the Tonle Sap. Sisowath Quay is a long stretch of road that has several restaurants, bars, and hotels establishments. Phnom Penh is endowed with several advantages for export-oriented manufacturing industries, such as access to cheap workforce, low-cost manufacturing, and its connectivity with several well-established foreign markets. 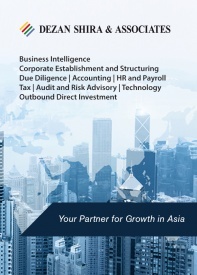 These factors along with infrastructure development, FTAs with fast-growing economies, and its strategic location in the heart of Southeast Asia – continue to create opportunities for businesses in the region. 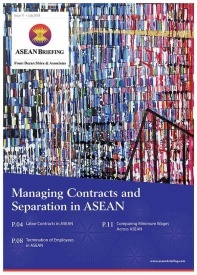 ASEAN Briefing is published by Asia Briefing, a subsidiary of Dezan Shira & Associates. We produce material for foreign investors throughout Asia, including China, India, Indonesia, Russia, the Silk Road & Vietnam. For editorial matters please contact us here and for a complimentary subscription to our products, please click here. 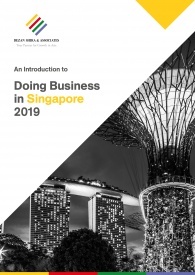 An Introduction to Doing Business in ASEAN 2017 introduces the fundamentals of investing in the 10-nation ASEAN bloc, concentrating on economics, trade, corporate establishment, and taxation. We also include the latest development news for each country, with the intent to provide an executive assessment of the varying component parts of ASEAN, assessing each member state and providing the most up-to-date economic and demographic data on each. 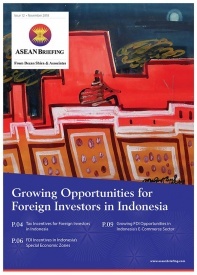 In this issue of ASEAN Briefing magazine, we provide an introduction to the Philippines as well as analyze the various market entry options available for investors interested in expanding to the island nation. We also discuss the step-by-step process for setting up a business entity in the Philippines, highlighting the various statutory requirements for overseas investors. Finally, we explore the potential for Singapore to serve as a viable base to administer investors’ Philippine operations.